Pepperfry is here with a great deal offering Bajaj Majestic RCX Multifunction Electric Rice Cooker, 500 ML at Rs 838. From cooking to steaming, frying to saut ing, our cooking range is equipped with every essential you need for your kitchen. Grab Now..!! 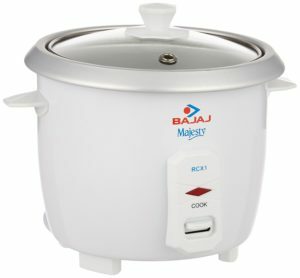 How to Buy Bajaj Majestic RCX Multifunction Electric Rice Cooker, 500 ML ?